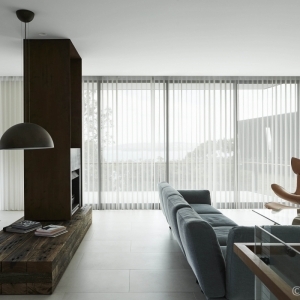 Windows are one of the most important elements in a house. A window’s fitting (e.g. frame, handles, push-out/sliding etc), location, direction and size all have influence not only on the ‘feel’ of a room and property but they also have practical implications to a space. More windows doesn’t necessarily means it’s better. But it does affect the amount of fresh air circulating through a space and the luminosity of sun light available in an area. Air circulation and natural lighting would no doubt play a role in your quarterly electricity bill if you have to turn on the fan, air conditioning or the lights more frequently and for a longer duration. Hence, windows is an important factor to consider when you’re renting a place, purchasing an established property or building a new home. Once a house is built, there’s usually very little you can do to physically amend the windows. Cutting a new hole in the wall or covering an existing window are both costly and inconvenient. Let’s assume no changes need to be made to the window fitting, location, direction and size. The next thing to consider are window coverings. They affect your convenience in accessing air flow, sun light and personal privacy (most window panels are made from transparent glass). Window coverings also serve an aesthetic purpose for you, your family and guests. Beautiful window covering can lift up the atmosphere of a room and create a sense of relaxing homie feeling whereas in contrary, an out-of-place window covering can cause all sorts of unpleasantness and visual discomfort. There are many options for window covering and they vary in cost, functionality, ease of maintenance, safety and style. Some of them have sub-categories (e.g. shades have a sub-category of roller shades) which we won’t be covering in this article. Usually each window covering serves a specific functional purpose beyond the aesthetic; in fact, sometimes it may be impossible to cater for both practicality and visual appeals. For most homes, whether it is an apartment, a townhouse or a detached dwelling (a house sitting on its own), there are full body length windows in the living room, entry/exit to external spaces or inside the bedrooms. When choosing window covering for these full body length windows, one of the key things to consider is the ease of maintenance because these windows are usually the largest in the property. Hence, if it’s not easy to maintain and clean, then either you will have a hard time taking the window covering down every time or they will just get dirty and stay there for a long time. Neither scenarios are very good ones. Unless you need complete sun-block or impenetrable privacy, there’s a versatile option I’d highly recommend – it’s called Veri Shades®. 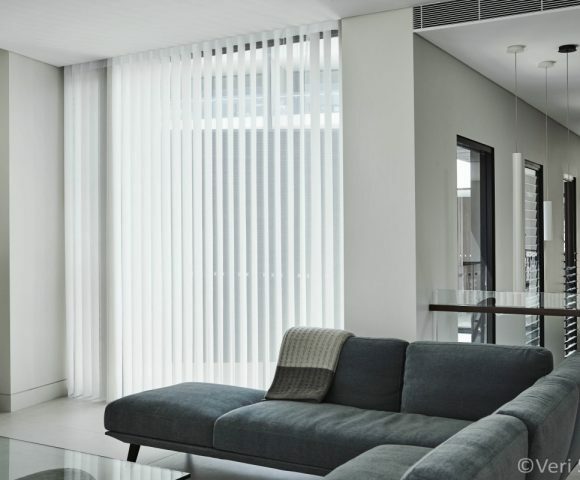 You can imagine Veri Shades as a translucent curtain with the option to turn like blinds to allow additional sun light into a room while maintaining some privacy. It’s made from 100% polyester fabric with a 50+ level UV protection which is ideal protection from the strong Queensland sun. The standard fabric is resistant to fading and soiling, with optional fire retardant fabric and motorised automation. In addition to the above benefits, what ticks the box for many of our customers is that Veri Shades are child & pet friendly because there are no cords or chains, and its light weighted which means it’s easy to be taken down and clean.